The new Harrod Sport ® 'Pro' Fibretech Team Shelter range is a sleek, contemporary alternative to the 'Standard' Fibretechs. 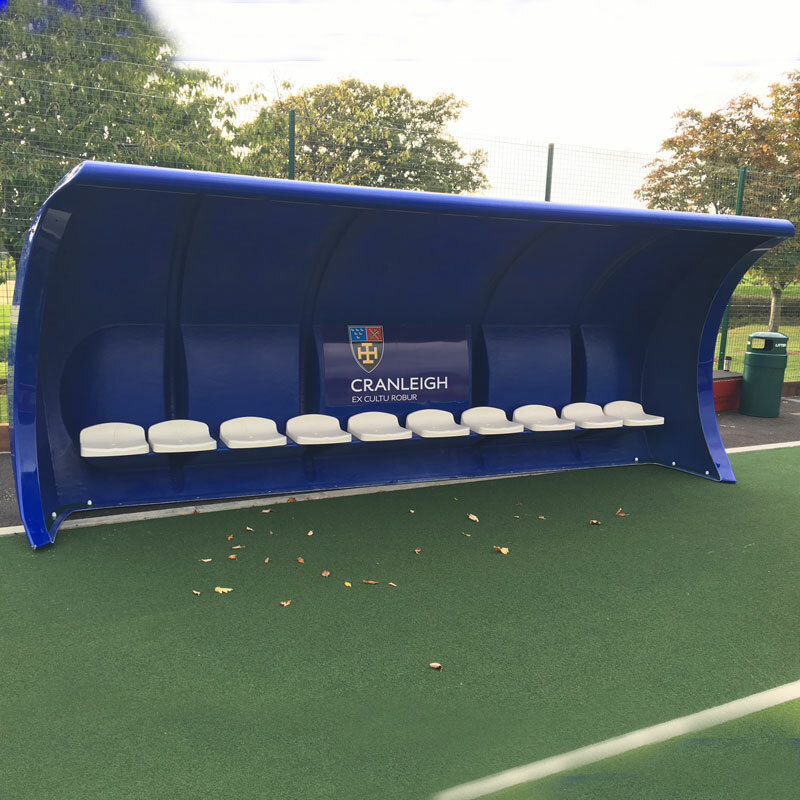 Extremely strong and impact resistant the 'Pro' features a large curved canopy ideal for keeping players dry. 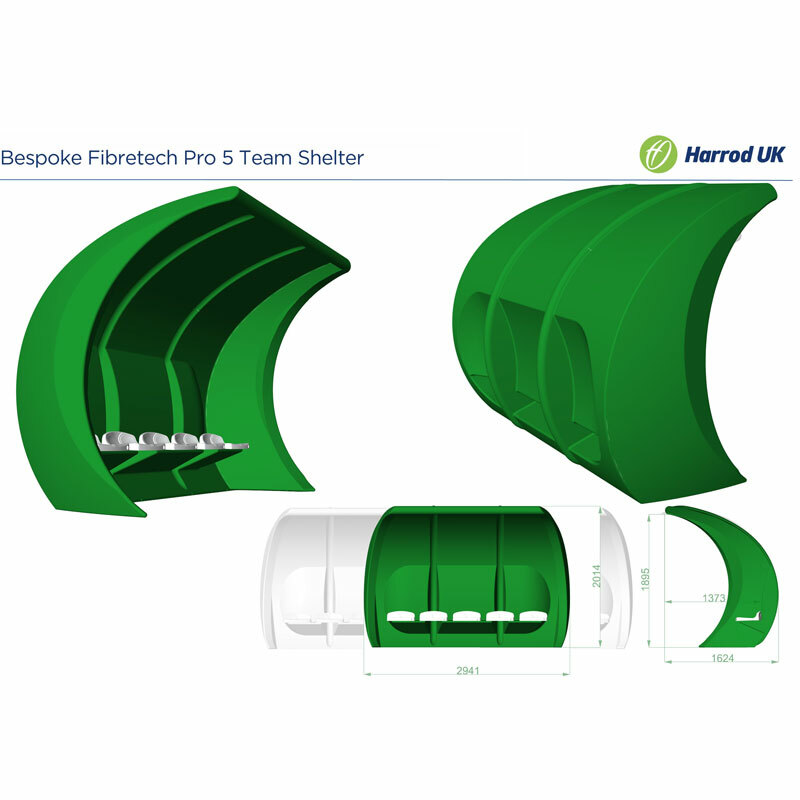 Anchors - Harrod Sport FibreTech Pro Team Shelter Anchor. Suitable for pitches where concrete base pad can't be installed. Choice of seat colours: available in black, blue, green, yellow, red, orange, white and grey. Manufactured from composite Fibreglass and Polyester Resin with a smooth gel coat gloss finish. 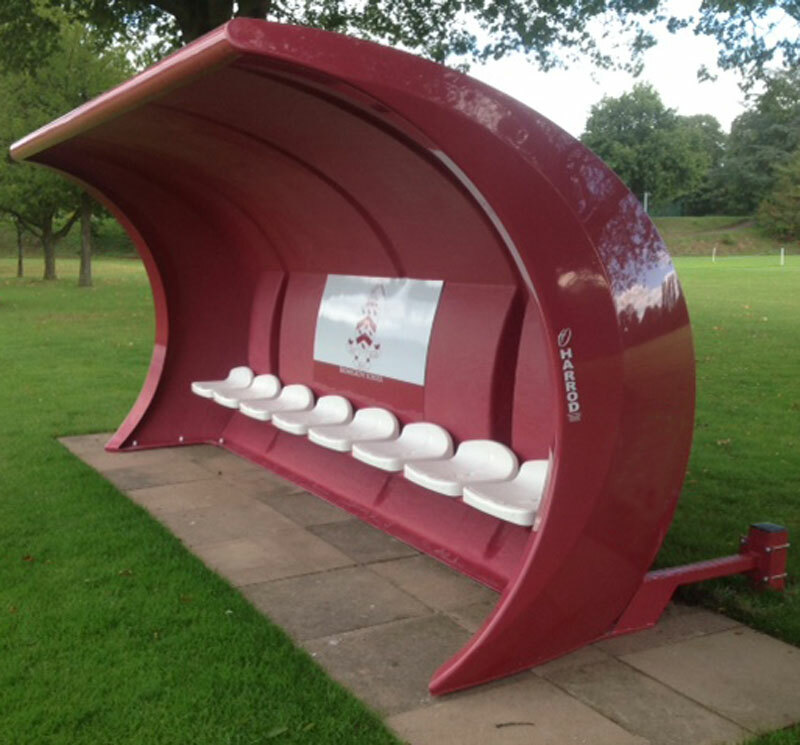 The shelters can be produced in any standard RAL colour enabling a club, school or university to bespoke them to their colours. 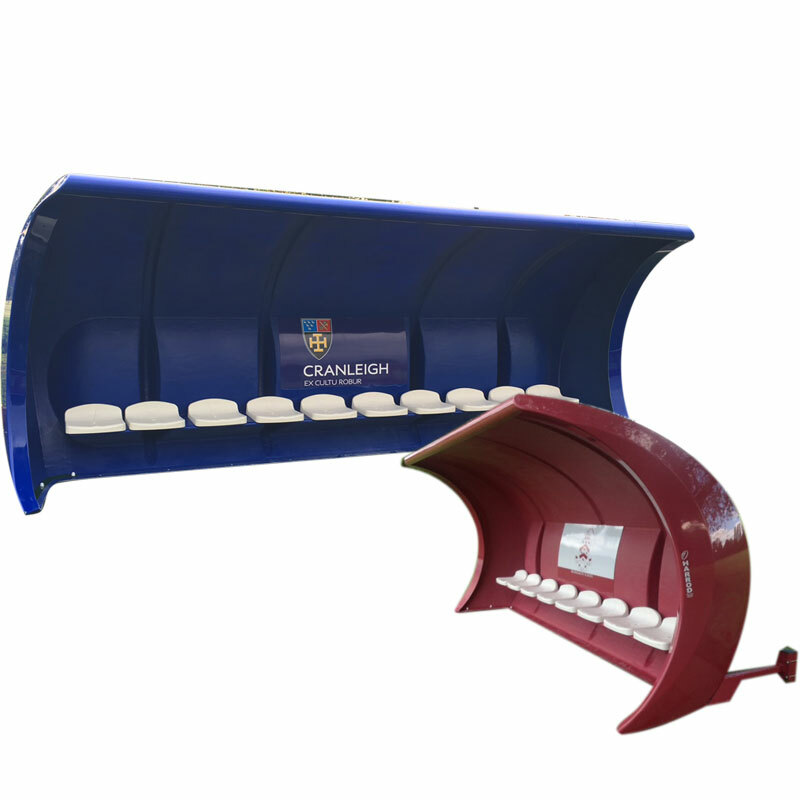 The seats/bench are only available in the following colours; blue, red, white, black, green, yellow, grey and orange. Can be supplied with individual plastic seats. To seat 3 persons - 2m wide x 1.6m deep x 1.92m high. To seat 5 persons - 3m wide x 1.6m deep x 1.92m high. To seat 8 persons - 4.3m wide x 1.6m deep x 1.92m high. To seat 10 persons - 5.3m wide x 1.6m deep x 1.92m high.